It's that time of year again to break out the hiking boots and get some mud in those treads. 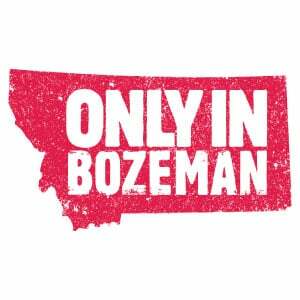 There are hikes and trails in Bozeman that need to be explored in between the rain and snow. These Bozeman hikes will make the muddy floorboards of your vehicle and welcome home mats all worth it. A trail that starts downtown right behind the library on Main Street and weaves it way through the backstage of Bozeman that eventually connects to Sourdough Trail and Peat's Hill. This flat, dirt trail is one of the most accessible trails for a quick midday hike through town. If you're looking for an in-town trail with some vertical aspects, Pete's Hill is an excellent option. With several wide open spaces, Pete's Hill is a popular choice for hikers with tail-wagging companions. This trail is a way to experience the outdoors yet still be close to town. The College 'M' Trail gives an excellent bird's eye view of Bozeman while surrounded by wildflowers. This popular trail offers hikers the option of taking either the easy or hard trail to the white-painted 'M'. If you're looking for more elevation, you can continue up the trail to Mount Baldy. 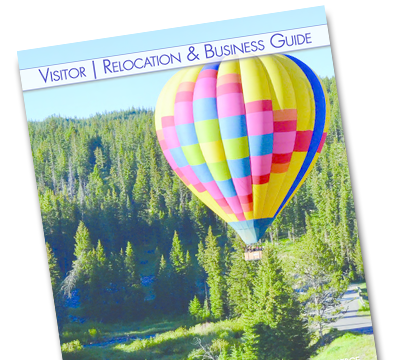 Right across the road from the "M" Trail, Drinking Horse Mountain Trail gives a slightly different perspective of Bozeman but also offers a stellar 360-degree view of the area. Packing a lunch up this 2.2-mile trail is a great way to take advantage of Drinking Horse's several picnic tables at the peak. Sypes Canyon Trail is on the shorter side of roughly 4 miles round trip but is relatively aggressive from the elevation gain through its many switchbacks. It gives hikers a great view of the Gallatin, Madison, and Tobacco Root ranges. Another advantage of this hike is the numerous other trails that it connects to including The College M Trail, Middle Cottonwood, or the Truman Gulch. 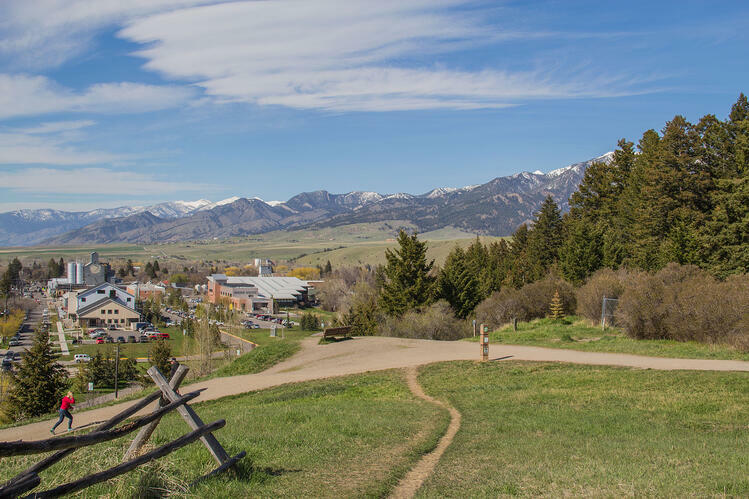 Triple Tree Trail is an excellent hike for all skill levels that weaves in and out of wooden and open areas to give all of the bikers, walkers, and dogs a gorgeous view of Bozeman and the surrounding mountains. Triple Tree Trail consists of a loop that is about 4.5 miles round trip with roughly 800 feet of elevation in total. South Cottonwood Creek Trail is a well-maintained hiking and biking trail with several points where you'll find yourself crossing over the creek. The several switchbacks in the dense forest eventually open up into open areas and meadows. You can spend an hour or all day hiking this trail with History Rock Trail connecting at 6 miles and Mount Blackmore at 8 miles. Sourdough Canyon Trail is a popular choice for hikers and bikers in the area and for a good reason. The trail provides a scenic walk through the trees with a flowing creek alongside the wider walking trail. Sourdough Canyon is a longer hike which is roughly 10 miles to Mystic Lake. As a reminder, Hyalite offers many great trails but keeps its gates closed until May 15th in an effort to keep their awesome trails maintained through the wet season. While parking is available at the gate, you can still venture to the hikes if one is daring enough for the trek to the trails.